This is my friend Don Wetsel, healer extraordinaire. I just came back from Fairfield, Virginia, where I was sharpening my saw. All the people I know who are great healers are ALWAYS studying. We take classes endlessly. We read book after book about healing and spirituality. We are always learning and practicing and doing the work on ourselves because we understand that you can only take your clients as far as you have gone yourself. I personally have come a long way, and I am not stopping. I was studying Movement Re-education, a class about releasing tension in the muscles. I can’t remember whether I was taking it for the second time or the third time, but it was excellent. I had convinced my friends Kathy Martin and Lee Townsend to come with me. They just came along because somehow they have learned to trust my judgment. “Oh WOW!” was all they could say. Movement Re-education is one of the high level classes of Brain Gym, which was my first foray into the healing arts. I learned all of Brain Gym, and then I surpassed it. I used to teach Brain Gym, Brain Organization and Vision Circles, and then I started studying with Sue Maes of Ontario, Canada. Like me, Sue had started in Brain Gym, but she also surpassed it. We keep studying and studying, learning and practicing, adding more and more knowledge, techniques, insight and experience into our menu. I had not studied with Don in over 10 years. He was so happy to see me, and I was so happy to see him! I had learned the Movement Re-education techniques to release pain in the back, neck, arms, shoulders, hands, hamstrings, feet – you name it – and used them for years. But you can never get enough practice and sometimes you just know when it is time to go back and sharpen your saw yet again. This is not hands-on energy work – this is hands on muscle release work. It feels great and the results are phenomenal. I have received years of massage of all varieties, learned and mastered Thai yoga massage and had all 10 sessions of Rolfing. But the little-known Movement Re-education work is the most powerful body work I have ever experienced. 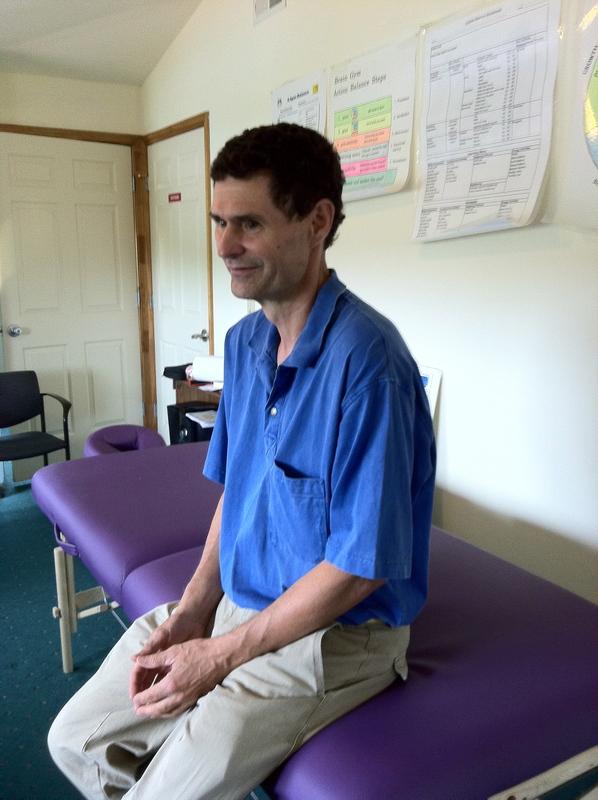 Since I studied Brain Gym and Touch for Health and Movement Re-education with Don years ago, he has become a master acupuncturist, having studied acupuncture in Boone, North Carolina, for four years. He wrote a book, Foundations of Acupuncture in Traditional Chinese Medicine: A Synopsis, which I am looking forward to reading. This is a book with all the key points that people need to learn and master in order to pass their boards to become an acupuncturist. Don is also a member of the Educational Kinesiology Foundation and a Master Practitioner of NLP. He is an International Certified Bodywork Therapist. He can put his hands on your leg and tell you what is happening in your cranial system. His additional training includes Craniosacral Therapy, Reiki, Zero Balancing, Psychoacoustics, Landmark Education, Natural Vision Improvement techniques of all kinds and he has studied and taught A Course in Miracles for 20 years. Now that is my kind of healer. Many people take a weekend course and think they know something. It takes 10,000 hours of practice to become a master of anything. Don is a master, and above all that, he is a wonderful, loving and supportive teacher. He thoughtfully teaches others how to listen to the body. Don and I also discussed how I had just been to a women’s business conference where the main focus was about putting your work into a format that will reach the masses. “You can’t replace touch,” Don said. Sometimes you need a highly trained person to put their hand in the right place. That has made all the difference in the world for so many of my clients, thanks to Don Wetsel.